“Fine” Reply the girls in unison. The end. Does this sound familiar? A recent survey found 93% of parents would like to know more about what happens in their children’s classroom. I used to love hearing updates from the girls about school but as I’m sure you all know it can be like getting blood from a stone at times. I miss the days when they’d come out with a daily report from nursery telling me exactly what they’d done, eaten etc. When children start at primary school you seem to loose that communication with the teachers. Not that it’s surprising they have lots of children to look after and lots of parents probably feeling the same. 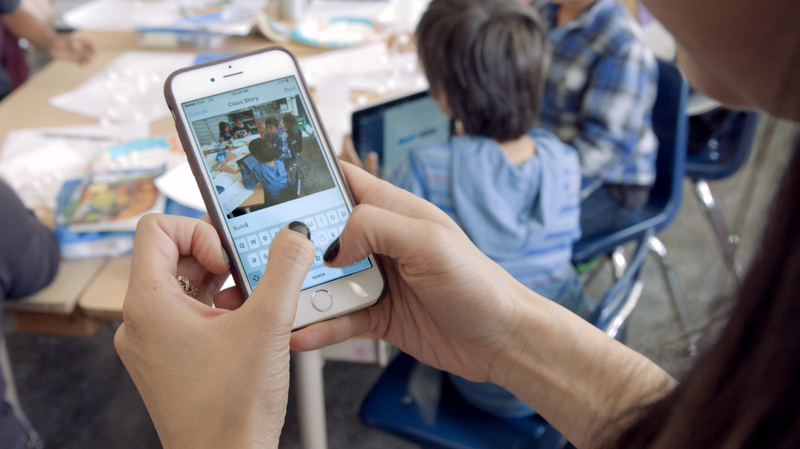 ClassDojo has found a solution for this, the popular app connects teachers with families enabling us to not only get those precious updates we miss but it creates a ‘teaching team’. Parents and teachers can work together and ultimately help to build a close knit, supportive classroom community that bridges school and home, giving every child the very best support system. It also gives you that direct contact with teachers, if you have a burning question and haven’t caught them at the school gates you can directly message, it’s fantastic. I’ve suggested it to the PTA at our school as I think it’s a fab tool. We watch our friends’ stories and keep up with their days so why not a classroom story on a secure app. We’re so technology driven now it seems the next logical step to connect parents and teachers. It’s already used in 85% of UK primary schools, if yours is not one of them make sure you check out ClassDojo. It also works really well when language is a barrier; Did you know 40% of parents in London speak English as an additional language (EAL)? ClassDojo instantly translates all captions and messages into more than 35 languages to help close the communication gap between EAL families and teachers. Over 625,000 messages were translated in the UK last school year! The app is also great for children to use themselves, giving them a voice. They can upload pictures or notes on work they’re really proud of giving you the perfect talking point after school. It’s so important to know what’s going on with children we all know they can find it difficult to open up at times. Does your school use ClassDojo? This post is a collaboration with ClassDojo, all thoughts and opinions are my own.